MPE MIDI Live! chat on May 26 with Roger Linn Design, Geert Bevin, Ben Supper, and Gregory Pat Scandalis! We’ve arranged for a MIDI Live! Chat with some of the key people behind the MPE specification. The MIDI Live! event will happen on Saturday, May 26. Here is the time of the event in various time zones. It’s easy to log in to a MIDI Live! event using a one-click social sign on like your Facebook or Twitter account. Developers who are interested in creating MPE hardware and software can hear directly from the people who worked on the spec and have already implemented it. There will also be discussions on new MPE checklists and test sequences being developed as well as ideas for an MPE logo program. You can RSVP for the MPE MIDI Live! event here. To attend the MPE event simply go to https://www.midi.org/live on Saturday. Tagged with Chat, Live, MPE, Panel. Arthur Bouflet composed and performed this very nice demo, showing how Touché can enhance the expressiveness of Moog synths, both analog and iOS! A short video to explain why MIDI Polyphonic Expression (MPE) is so focused and limited, but why it’s so important that the standard exists and is widely available. After several years of hard work with the MMA working group and collaboration with AMEI (the Japan MIDI Standards Committee). 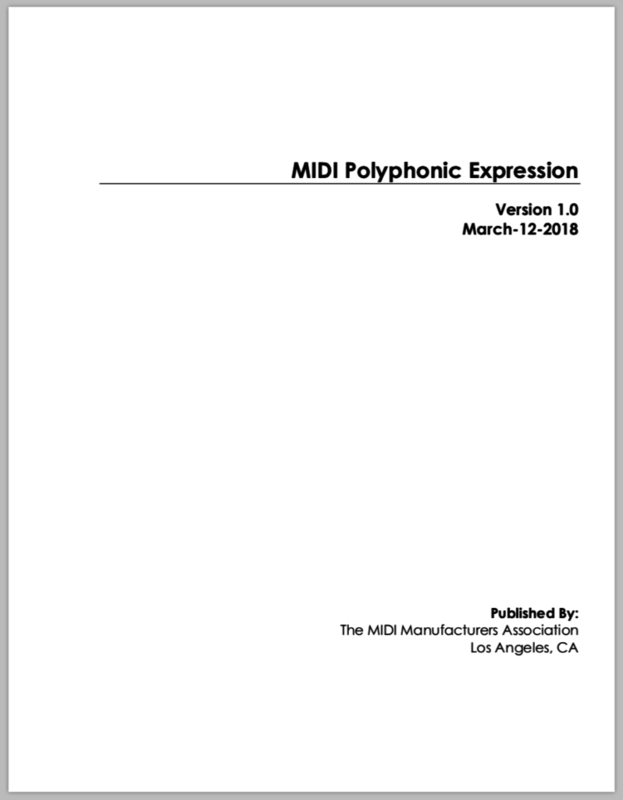 The MPE spec has been approved by both organizations and is now published on the midi.org website. Hagai Davidoff again comes up with an amazing use of my GECO MIDI app for Leap Motion: real-time orchestral harmonizing with Steinberg Cubase. Edmund Eagon, Rob Swimmer and Sally Sparks played Fratres on three Continuums during ContinuuCon 2017. Thanks for this beautiful and very emotional performance of this magnificent piece. Tagged with Concert, Continuum, Live. The Oval is a new electronic musical instrument with the form factor of a hand pan. After backing their Kickstarter two years ago, I finally received the instrument yesterday. Here’s a first demo video that shows some of its capabilities.